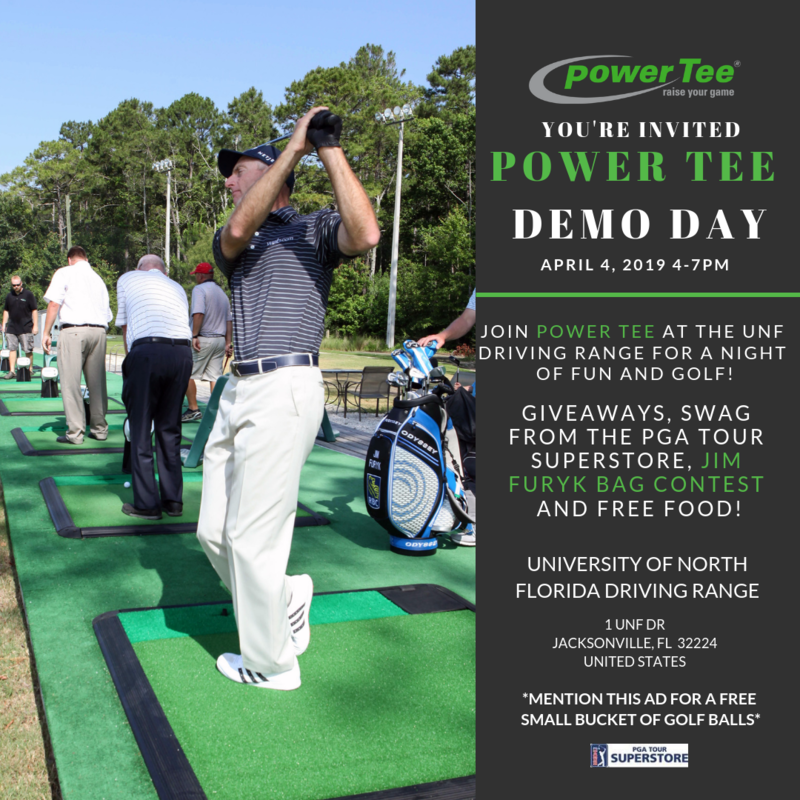 Power Tee's Demo Day is in TWO DAYS: this Thursday at the University of North Florida Driving Range, from 4-7pm. See? We just gave you the perfect excuse to skip out of work early Thursday. "Oh, boss, I think I'll be feeling ill Thursday at exactly 3:30pm..."
We are so excited to see everyone there and have a fun night of golf and games and pizza and fun! ...then Thursday is your day because we're gonna do all of those things. All you gotta do is bring yourself (and your friends, kids, significant others, parents, siblings, cousins, third cousins once removed) and let the Pro Shop know you're here for the Power Tee Demo Day. You'll be given a free small bucket of balls - then just head outside, load them into a Power Tee and let 'em rip! The flyer is below with more details, feel free to send it and share it with anyone you'd like.